(New York, NY) – March 21, 2018 – Fortigis Inc., today announced the launch of Fortigis, a cloud-enabled privacy & security wireless Virtual Private Network (VPN) router that patrols and controls who connects to a user’s Wi-Fi network. The Indiegogo campaign for Fortigis, which is being managed by the Launchpad Agency, has a funding goal of $50,000 USD, and features limited Super Early Bird Specials of $199 as well as several other rewards for backers. Fortigis uses a Virtual Private Network (VPN) to provide users online privacy and anonymity by creating a secure and private network. The secure connection encrypts all of the user’s incoming and outgoing web traffic so no one can trace their online activity, protecting them against identity theft, ad targeting and having their online transactions such as online shopping or banking hijacked. Through the secure VPN connection, Fortigis connects to a security cloud powered by a patent-pending, AI-driven adaptive security algorithm that automatically ensures that all inbound and outbound traffic is completely private and clean from any viruses, malware, ransomware and other threats. It also utilizes a crowd-sourced threat intelligence that automatically updates all Fortigis routers when one is attacked by a new threat to provide cutting-edge protection. A low cost monthly subscription is necessary to take advantage of the AI-driven Cloud and the up to 200Mbps VPN. 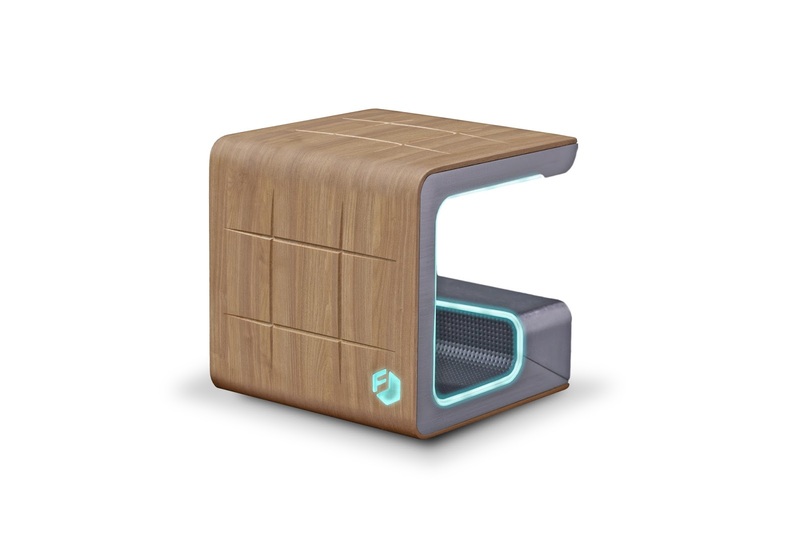 Fortigis has a beautiful, modern, Rubik’s Cube-inspired design and has no moving parts for whisper-quiet functionality to fit any household perfectly. Fortigis is not only attractive, but it’s very easy to use. Simply plug it into a power source and router and it’s ready to use. Fortigis will automatically identify the type of the connected device and assign the relevant security profile. Fortigis also comes with a free app (iOS/Android/Web) that allows users to easily manage their protected network. Through the app they can confirm or deny access to anyone or anything trying to connect to their network. Users can also monitor all relevant analytics for all of their devices and network.